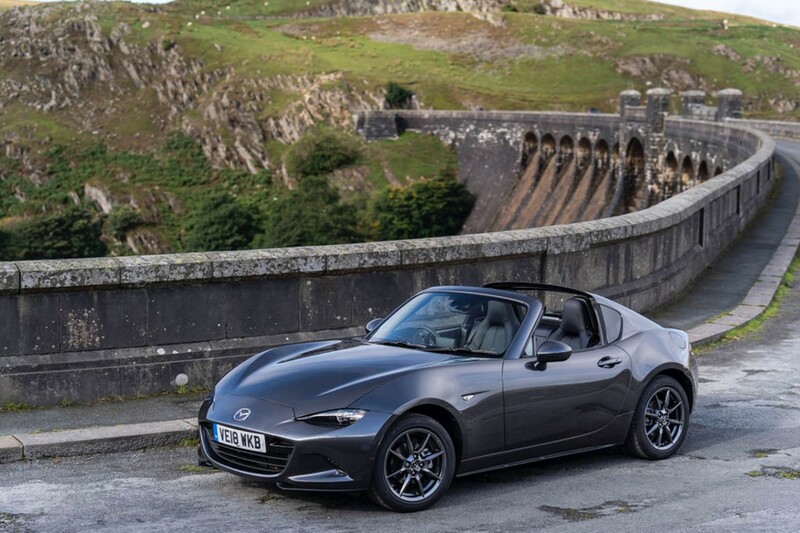 IT takes a brave company to make a huge change to an icon and the Mazda MX-5 is a genuine motoring icon - the best-selling two-seater sports car in the world. 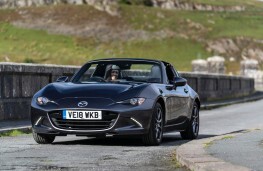 It has won a major international automotive award every year since its debut 30 years ago. Naturally, it has evolved. 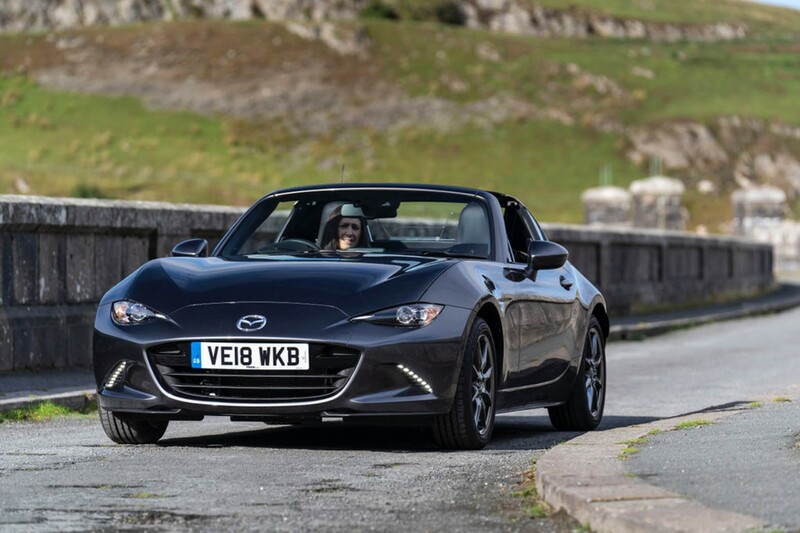 But in 2016, Mazda somewhat controversially put a tin lid on its hugely popular soft-top. It became the RF - for Retractable Fastback. Thankfully it was as good as ever. And it's just been made even better. 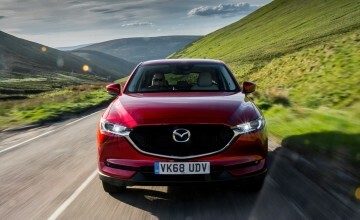 Leading the way is a substantially redesigned, more powerful and higher-revving version of Mazda's 2.0-litre SKYACTIV-G engine. This sees an increase from 158bhp to 181bhp and a heightened redline, 7,500rpm instead of 6,800rpm. 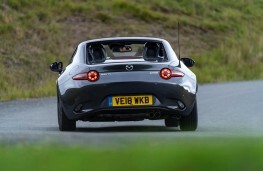 There's also a slight increase in torque to 205Nm and the 0-62mph time is improved by a barely noticeable 0.6 seconds. The new 181bhp version has lower CO2 than the outgoing car and officially returns 40.9mpg. After almost 300 miles of what we'll call ‘joyously enthusiastic' driving, the trip computer was still reading an impressive 38.3mpg. First though, let's talk about that roof. 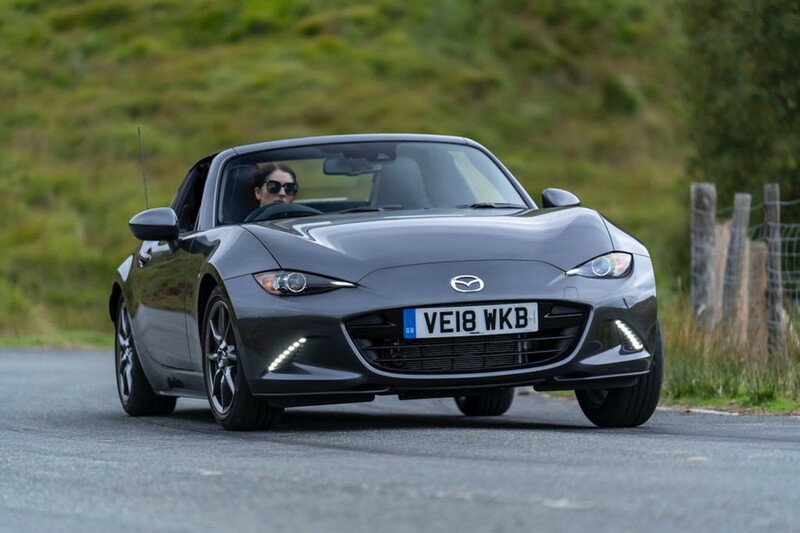 Aside from a 5mm increase in overall height, the RF maintains the balanced proportions of its soft-top sibling though it weighs 45kg more. 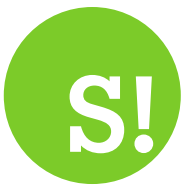 A touch of a button opens or closes the three-piece fully automated roof in 13 seconds. The front and middle sections disappear along with the rear window glass while the fastback buttresses return to their external position to deliver a completely different roof down style profile and look. Cleverly, the 127-litre boot - big enough for a couple of weekend bags - remains the same whether the roof is up or down. 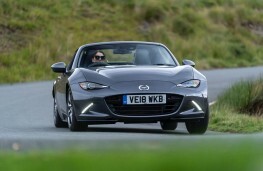 However, more than anything else the MX-5 is revered for the way it handles. 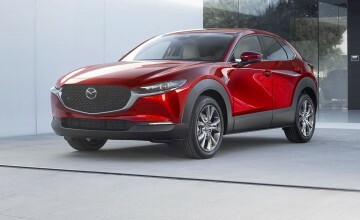 Thankfully, Mazda's clever engineers have made the RF lighter and faster while ensuring it still provides undiluted driving pleasure. Even stuck in traffic you find yourself smiling at the prospect of what's to come once the road opens up. It is that good. 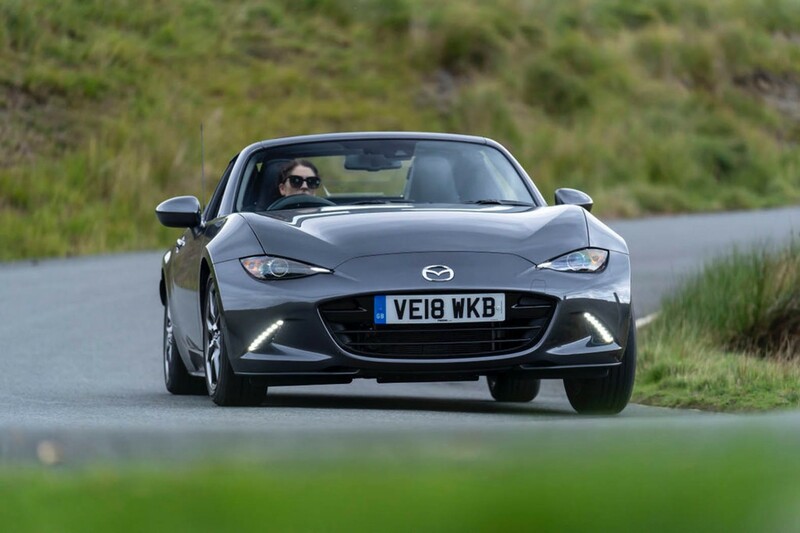 The RF keeps the same award-winning chassis as the MX-5 convertible, but its suspension, steering and brakes have been specifically tuned to deliver handling and ride tailored to fit the RF while keeping the car's famed agility. Unlike many sports cars, the RF is relatively softly sprung so soaks up many of the bumps and lumps without becoming too stressed. The 2.0 Sport Nav+ model comes with a firmer sport suspension and Bilstein dampers, but the ride is still very bearable. 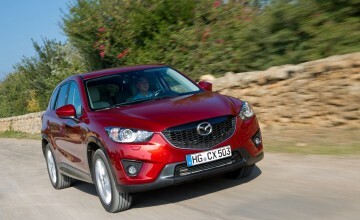 It also features a helpful limited slip differential, giving more traction out of corners. 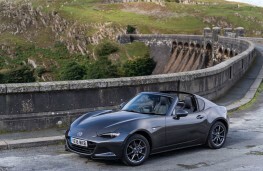 As you'd expect, the MX-5 RF's driving seat is set almost go-kart low but, because of the low, sculpted bonnet, large, sweptback windscreen and thin A-Pillars visibility is excellent. The supportive seat has a standard tilt-adjustable base but there's no height adjustment. The steering wheel adjusts for reach and rake, and even genuine six-footers will be able to get comfortable. Mazda's six-speed manual plays a huge part in the MX-5's driver appeal. The high-set, stubby, short-shift gearlever is in exactly the right place, and is an absolute joy to use. The 2.0-litre Sport Nav+ is offered with a six-speed automatic gearbox but, if you enjoy your driving, it's best ignored. 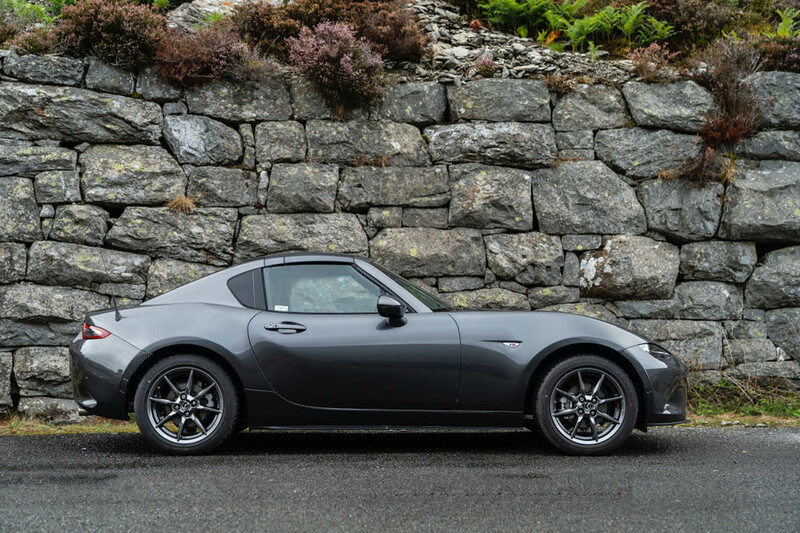 Despite being 45kg heavier than the soft-top, you'd never know it because it remains as nimble and agile, charging through corner to corner like a mad March Hare. 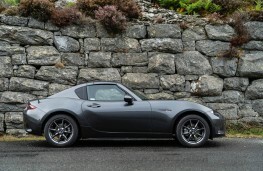 The RF goes where you point its nose, changing direction quickly due to accurate and well-weighted steering. There's plenty of grip too so you can enjoy its performance to the full. Despite the full metal jacket, it's still not the quietest of cars, but that's not really the point. It's an engine begging to be revved, with an addictive, raspy exhaust note, and you'll soon find yourself waiting for the redline before changing up a gear. The Sport Nav+ comes with climate and cruise control, 17-inch alloy wheels, heated leather seats, rear parking sensors, automatic lights and wipers and an upmarket Bose stereo. 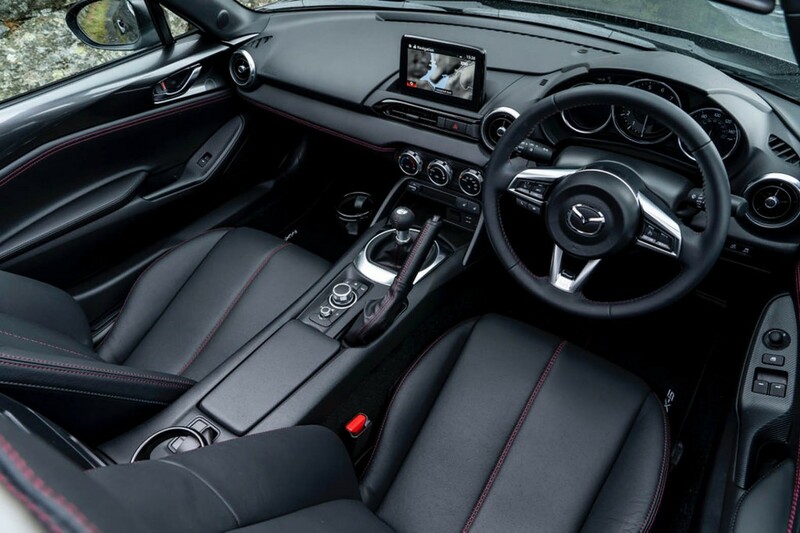 Its infotainment package includes a six-speaker stereo, satnav, Bluetooth and a DAB radio, all operated through a seven-inch screen. The RF's driver-focused cabin has few storage areas - there's no door bins or a glovebox, just a front console tray, and a small, lockable centre box positioned between the seats, but it looks smart, high quality and well-made. Safety has not been overlooked. 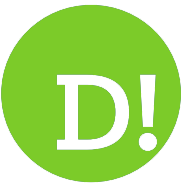 Front and side airbags are standard, and the side airbags feature a special bracket on the outside shoulder of the seat to protect occupants' head even with the top down. For the yummy-mummies out there, the passenger seat even comes equipped with anchors and a top tether for ISOFIX child seats. Sport Nav+ cars also now feature Front and Rear Smart City Brake Support, a lane departure warning system, traffic sign recognition and driver attention alert.